Stay overnight on the campsite, in wooden igloos or at the lodge; you will find the perfect accommodation for young and old. 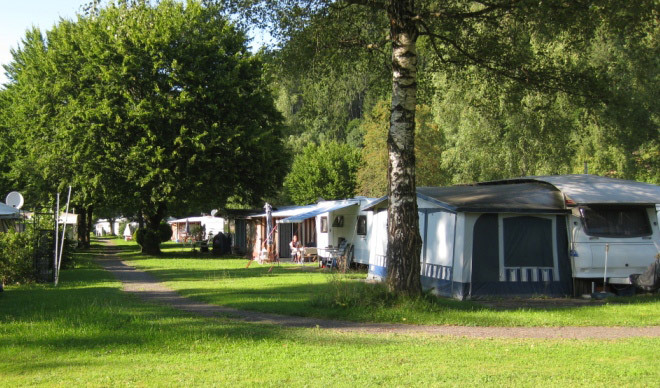 The Waldhof camp site in Hittnau is a paradise immersed in a green setting and has a family atmosphere. The adventure playground makes it very popular for families. Year-round lots are available. The family-friendly Waldhof camp site is located right next to a farm. It enables kids to experience animals in their natural surroundings. Beautiful location directly at the Greifensee. Modern sanitary facilities at the new building and a restaurant. The public bathing area and the camping site are situated in the middle of the natural reserve at the Lake of Pfäffikon. The children-friendly site is easily accessible. Parking is close by. The Saland camp site is open all year and can be easily reached on a good plain access road. The site is located away from traffic at a sunny and quiet location directly at the Töss.